Sonepur, Feb. 15: Here’s yet another feather for the cap of poet Haladhar Nag. 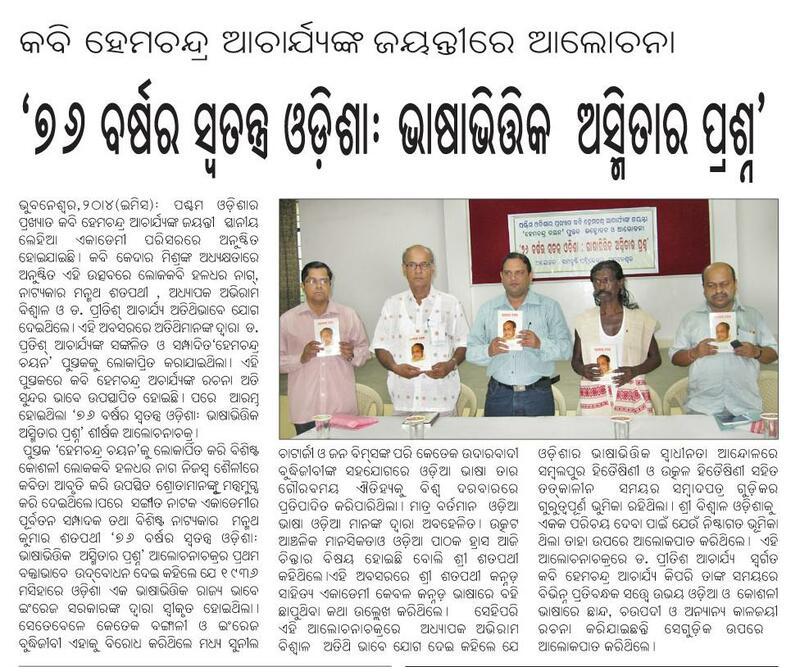 The Sambalpuri poet, who is often compared with nature poet Gangadhar Meher, will be honoured with this year’s prestigious Bhima Bhoi Samman for excellence in the field of art and literature. The award will be given to him during the annual Magha Mela to be held on Thursday at Khaliapali in Subarnapur district. The award is instituted by the Bhima Bhoi Samadhipitha Trust in Khaliapali, which was the work place of saint poet Bhima Bhoi and where the memorial temple of the poet now stands. Upon hearing about his selection, Nag said he was felt honoured to be awarded a prize that was associated with the name of the saint poet. “I feel very honoured. Any award is always a good thing for a writer, but this one is special for me, as it is associated with Bhima Bhoi. Bhima Bhoi has always been the source of my inspiration. He was a phenomenal poet who saw the future,” said Nag. Nag, who has studied up to Class IV only and used to sell peanuts, now casts magic over the audience as he rattles out poem after poem wherever he goes. His best known works include Mahasati Urmila, Tara Mandodari, Achhia (Untouchables, inspired by Mahatma Gandhi’s fight against untouchability) and Bachhar, all written in Sambalpuri. Managing trustee of Bhima Bhoi Samadhipitha Trust, Sadananda Agrawal said the selection committee had chosen Nag for the honour because his contribution had enriched the literary tradition of the region. “He has been around for quite for some time now and his contribution to enrich the literary tradition of the region has been phenomenal. The trust is happy to honour to such a rare talent,” Agrawal said. He added that eminent poet Hari Sankar Badpanda would be awarded the ‘Navalipi Samman’ while playwright Atala Bihari Panda will get the ‘Bhagirathi Nepak Sruti Samman’.